, the able defender of infant-baptism, was born in 1646, but where educated, or any further particulars of his early life, are not upon record. He was vicar of Shoreham in Kent, where he died in 1728, at the age of eighty-two, and was considerably advanced when he slept forth as the champion of infant baptism, in opposition to Dr. John Gale, the ablest writer of his time on the baptist side. Mr. Wall published his “History of Infant Baptism” in 1707; and Dr. Gale, in 1711, published “Reflections” on it (See Gale.) In 1719, a friendly conference was held on the subject between him and Mr. Wall, which ended without any change of opinion on either side. 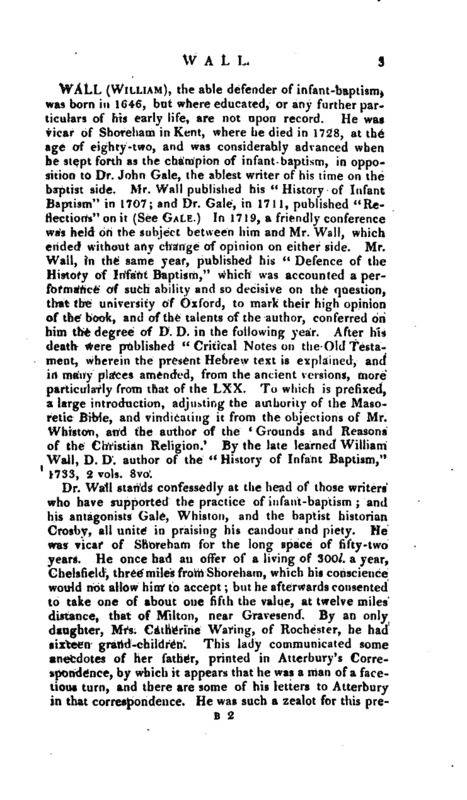 Mr. Wall, in the same year, published his “Defence of the History of Infant Baptism,” which was accounted a performance of such ability and so decisive on the question, that the university of Oxford, to mark their high opinion of the book, and of the talents of the author, conferred on him the degree of D. D. in the following year. After his death were published “Critical Notes on the Old Testament, wherein the present Hebrew text is explained, and in many places amended, from the ancient versions, more particularly from that of the LXX. 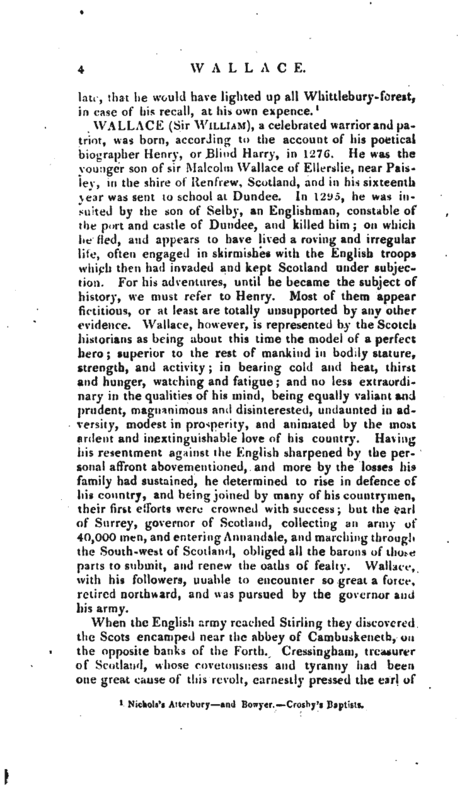 To which is prefixed, a large introduction, adjusting the authority of the Masoretic Bible, and vindicating it from the objections of Mr. Whiston, and the author of the ‘ Grounds and Reasons of the Christian Religion.’ By the late learned William Wall, D. D. author of the” History of Infant Baptism," 1733, 2 vols. 8vo. Nichols’s Atterbury and Bowyer. Crosby’s Baptists.